1) What are you giving away? 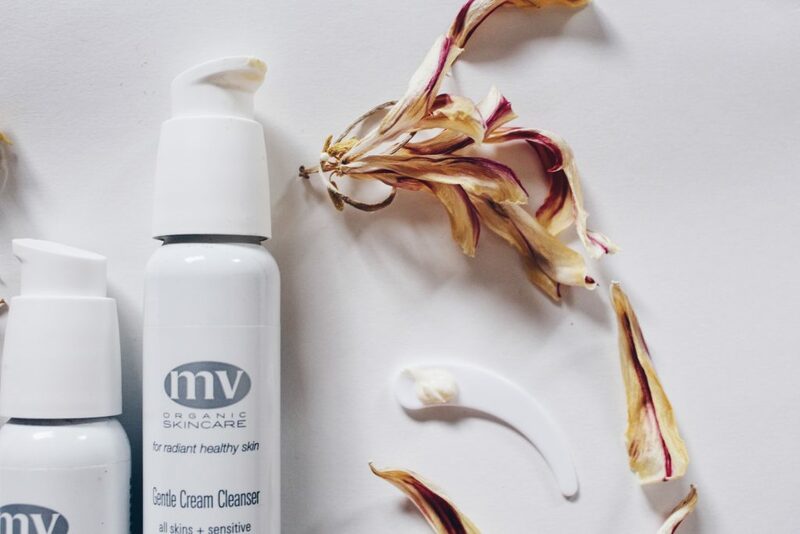 I will be giving away the MV Organic Skincare Gentle Cream Cleanser. 2) What made you choose this product? Well, this cleanse has been my main squeeze for the past six months as my second cleanse post-makeup removal, and I’m coming to the end of my second bottle. After YÜLI Halcyon, this has proved to be a really solid cleanser in my life which I know I can count on to clean my face, not break me out, and not leave me feeling stripped or super oily. I had had my eye on this brand for some time but I didn’t really know which products would be best suited for my acne-prone skin. At the time I was meh about rose (ingredient list fatigue) and super wary about coconut oil, which the cleanser contained, so I convinced myself it would be safer to use other cleansers not containing coconut oil (such as YÜLI Halcyon, which you know I adore). However, after moving to the Bay Area, I attended an event at Credo Beauty in SF with MV Organic Skincare mini-facials and Kjaer Weis makeovers. Yes, it was awesome and I fangirled hard (Your products are awesome!!!!! You are my hero!!!! *don’t know what else to say* So uh, how do you like the weather…). After confirmation of my oily skin type and me turning super super red after one of the girls mentioned she read my blog (this is why I wear foundation), I was recommended the Rose Plus Booster to calm my skin, the Signature Mineral Mask for a weekly treatment, and the Gentle Cream Cleanser. At the time, I was using the super rich Lustra cleansing oil and Treate cleansing emulsion from In Fiore, and I was rocking that 4-2-4 intense massage sequence. But my esthetician at Credo, Madeleine, suggested that especially since I was acne-prone, such massage so often could probably aggravate my skin. For this mini-facial, she had me work the cleanser into my skin, and by work, I mean I would start going into massage mode and she would tell me to slow down, inhale the lovely lovely scent, gently smooth the cleanser over my face for like 5 seconds, and let it do its job. I only walked away with the Rose Plus Booster that time (well, and some other goodies), but a month or so later when I ran out of Treate, I was desperate for a cleanser, and ordered it for next-day shipping (*laughs, note: things not to spend your $30 credit on). 3) What did the Gentle Cream Cleanser do for you? My skin has loved this cleanser! Before this, YÜLI Halcyon had my heart over all cleansers, but now I would say that the GCC is my top cream cleanser and Halcyon is my top gel cleanser. Of course, I’ve been using other products that have contributed to my shockingly happy skin (seriously, it should not be this happy with grad school stress. I should be a mess.) such as the Rose Plus Booster, but cleansing is the first step to happy skin. You need a clean canvas if you want your fancy serums to do any work. I never use this to remove makeup—for a while I started off with the S.W. Basics Makeup Remover, which is uber uber simple, to remove my makeup along with a warm muslin, and then I’d follow up with a pump of GCC, gently smooth it over my face for a couple seconds, and then remove it with the other side of the muslin. I didn’t realize how heavy the In Fiore duo was until I used this cleanser. My face, despite the coconut oil in GCC, feels so much cleaner (but not stripped! Never stripped!) than it ever did after using Treate. After removing the cleanser with a warm muslin, my face just feels clean, with no trace of oily residue, which still surprises me since it is a cream cleanser. The ingredients list is really simple (no fancy peptides here): a mix of soothing and moisturizing oils (camellia, coconut, olive, mandarin, chamomile, geranium) combined with emulsifiers/surfactants like cetearyl glucoside, cetearyl alcohol, and glyceryl stearate. Something I saw the founder or brand mention on Twitter: the ingredients lists have been the same for years (something on the order of a decade even?) because they work. My initial reaction: isn’t that a bit outdated?, but then I was like: yeah, this stuff does work. I can understand that. This cleanser has never contributed to breakouts, but because of having to use a muslin, I have on occasion accidentally broken a pimple or two (oops), so remove your cleanser with caution. Do I occasionally revert to my massaging ways and cheekily massage my face beyond 5 seconds? Yeahhhh…don’t tell Madeleine at Credo. This is hard because I practically wear the same makeup everyday…Well eyeliner is a must because of my monolids (Physician’s Formula does this lash and eyeliner serum pen which is the bomb dot com), I’ve been using the same mascara brand for maybe a year or more (Kjaer Weis mascara—no smudges! ), and I’ve been wearing only one blush since the new year (Tata Harper Very Nice). This is also hard since I am paranoid about using my products up before expiration, so I do my best to rotate my collection. I think my most key green skincare product has to be some sort or hydrating serum like the one from Flight Skincare or Osmia Organics’ Active Gel Toner or some super, hydrating toner like Antonia Burrell’s Forest Dew Conditioner. I may be oily, but I get dehydrated easily (and I am constantly sipping on water all day). -What non-green product do you cling to most? Luckily, I was barely exposed to the non-green beauty world before going to the green side, so I don’t have any non-green things really to compare my green things to. However, I would say that I think liquid eyeliner that doesn’t smudge is probably a really hard thing to do green. In many other areas of beauty, I am of the opinion that you don’t have to sacrifice ingredients for performance anymore, but when it comes to making a solid liquid eyeliner that my monolids won’t erode away, I think that is still a challenge. -What’s your next splurge going to be? Uh, well, let’s just say I’ve been having a major splurge session and need to put a spending ban on myself for a couple months. It was a mixture of splurging on my mum (Tata Harper Nourishing Oil Cleanser, Eye Mask), my sis (ED4OLO Oil Cleanser, Suntegrity sunscreen, Lily Lolo Mascara, Mahalo Petal), and myself (Coola primer and BB cream with SPF!! !, Osmia Active Gel Toner, January Labs face mist, Suntegrity sunscreen, all the new Kjaer Weis colors), so this girl is not allowed to shop. Until the summer, maybe. This giveaway is open to U.S. residents only until 5/22/2016 12am EST. Good luck! Disclaimer: I have bought this product for myself from Credo Beauty and The Detox Market. All views and opinions are my own. I am not being compensated for my words. My most used green skin care product is pure Aragon oil as a facial moisturizer. 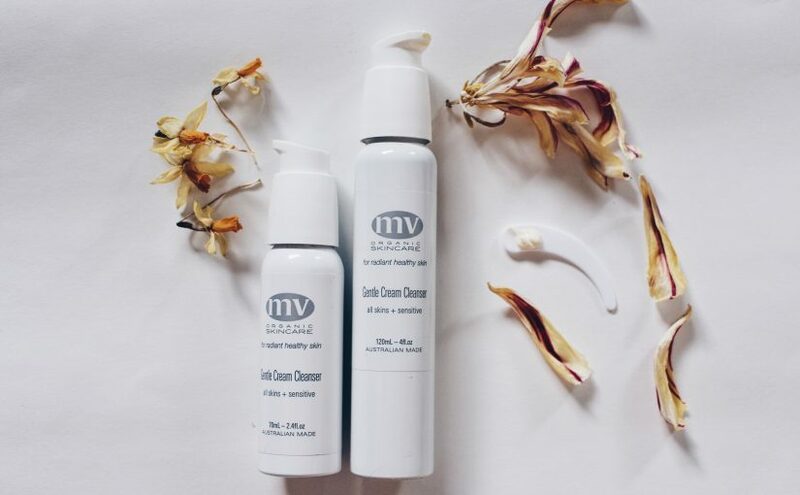 I have been lusting after MV Skincare for a while now. I have acne prone sensitive skin. Non green beauty product I cling on to: liquid eyeliner. I never got used to gel liners and I’ve yet to find a green beauty brand that does an awesome pen liquid liner. I am absolutely in love with MV organic cream cleanser btw so thank you so much for the giveaway! Love the Q&A format of your review! My most used green skincare items are two by Kahina Giving Beauty, their facial cleanser (also a cream cleanser) and their argan oil, both are used every single day! My most used makeup item would be Root’s mascara in brown. I *want* to splurge on H IS FOR LOVE’s Bara Balm – I’ve tried a sample of it and it is so good! I have been lusting after the MV organic cream cleanse for so long and I just finished up my first bottle of the CAIS. Amazinggg. Ooo is the giveaway over? Fingers crossed and thank you so much for this!